Super Clean 330 Sun Sport FormulaThis incredible Sun Sport is perfect for a day cruiser or also for a getaway weekend! It has an amazing deck layout with a lot of space to seat your guests. This Beauty is designed to go fast! You will enjoy its twin 375 HP going smooth thanks to the performance hull design while keeping up the comfort level on a nice sunny day. 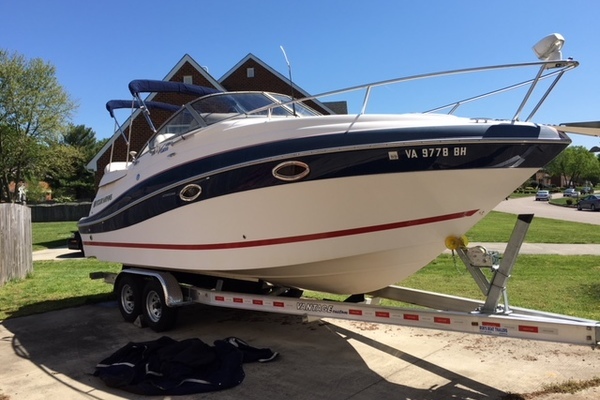 This Formula has many upgrades, is well maintained in dry storage, and ready to cruise! United Yacht Sales New Jersey would love to guide you through a personal showing of this 33' Formula 330 Sun Sport 2007. This yacht for sale is located in Key Largo, Florida and priced at $69,900. For a showing please contact us by filling out the form on this page and we will get back to you shortly!